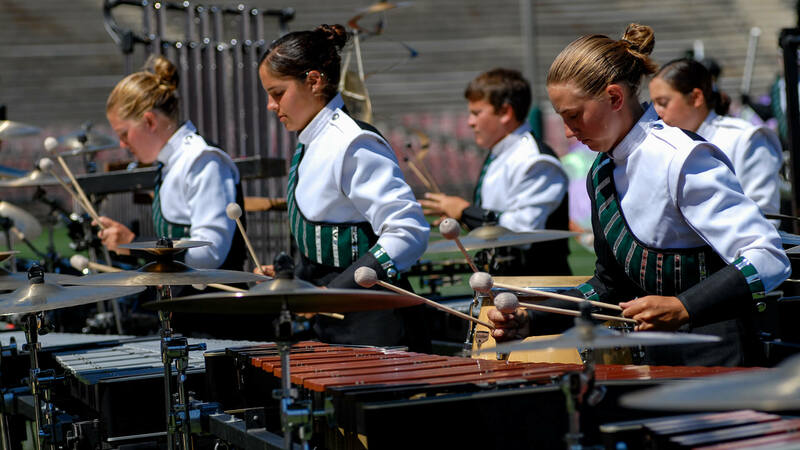 The 2007 Drum Corps International World Championships went to Pasadena California, the first time the big events traveled west of the Rocky Mountains since DCI was founded in 1972. Events for Division I corps were held in the iconic Rose Bowl Stadium, while Division II & III events were held at Pasadena City College. Among non-finalists, big news included The Academy making a run for a spot among the top 12 after winning the Division II title in 2006. The corps had popped into 10th place at the DCI Southwestern Championship in San Antonio, but slipped to 13th in the Pasadena Semifinals, just a point from advancing into the Finals. Barely behind Academy, 0.15 down, was Blue Stars in 14th place. Madison Scouts finished in 15th, but ended the season on a relative high by outscoring five corps that had earlier in the summer beaten the Wisconsin corps. Crossmen raised eyebrows by moving across the country from the east coast to San Antonio. But perhaps the biggest story of the season was the return of Troopers to the DCI Tour after not competing in 2006. The Wyoming corps finished in 20th place and generated much applause all season even before playing a single note. In 18th place, Cascades performed a program titled “Three.” The production was based on a fairly minimalist concept of permutations derived from exploring the number both musically and visually. Threes were manifested in various drill forms throughout the show, with three-pronged forms and triangles much in evidence. Musical references to the number stretched from the three different musical selections down to several groupings of three instrumentalists at any given time. 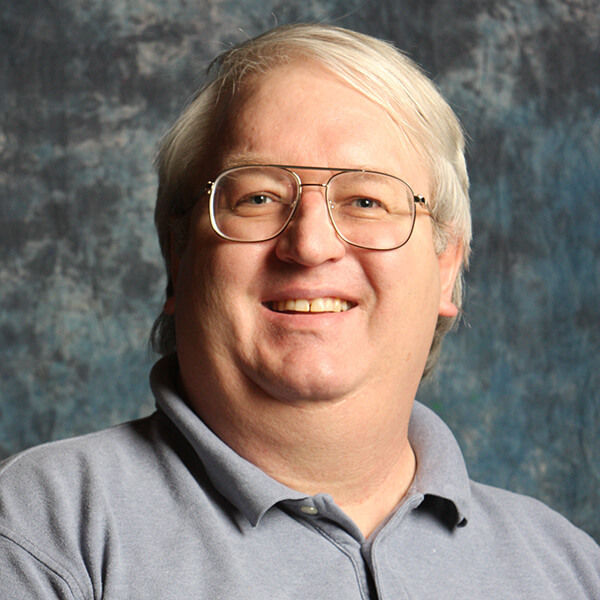 The show began with Frank Ticheli’s bombastic 1991 concert band work, “Postcard.” The piece was based on musical palindromes (melodies that were the same when played forward or backward), and in the early part of the piece, a connective musical motif based on three notes. Visually, the show kicked off with the three elements of the corps—brass, drums, and color guard—in three separate forms, each like an upside-down “Y.” After an original opening fanfare based on the main melody, the corps moved into the angular palindromic segment of the work, sounding quite abstract. Numerous triangles appeared on the field in different sections, and at the climax of the drum interlude, the horns formed a giant “T” for “Three.” Heading toward the climax of the opener, three different melodic fragments of the piece competed for the dominance of the horn line. The second musical selection was Eric Whitacre’s lyrical and graceful “Sleep,” originally written in 2000 for eight-piece a cappella chorus. In 2010, the work was the second of Whitacre’s works to be part of his continuing “Virtual Choir,” in which hundreds of singers submitted videos that were combined into one giant online choir. The corps’ rendition explored three different statements of the Whitacre theme, each portrayed by a different segment of the horn line. The drums went to the back of the field and faced backward, allowing the beautiful horn ballad to maximize its emotionally sapping tenderness. The closer of “V2 Schneider” was based on the Philip Glass interpretation of a David Bowie song, written by Bowie for his 1977 “Heroes” album. The title of the piece was a tribute to both the German V-2 ballistic missile, which launched the Space Age, and to Florian Schneider, a co-founder of the rock band Kraftwerk. Glass reinvented Bowie’s song as the final movement of his “Symphony No. 4: Heroes,” composed in 1996. Few orchestral works have as dynamic a sense of forward propulsion as does this. Cascades’ closer, as well as the other two works in the show, had a recurring three-note theme accompanied by numerous visual representations of the number three. A musical reference to the opener snuck into the climax leading into the final musical tag, which passed through the horns re-creating a modified version of the “Y” form from earlier. 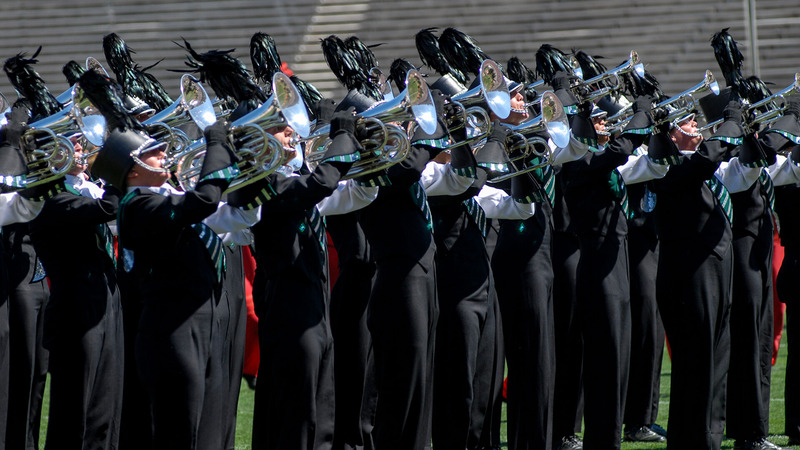 A final push led the horns into a block triangle, ending the show with one last drill form based on the number three.